Easy to operate, Adam's CBC bench scale is the best choice for businesses that require a robust portable counting scale. 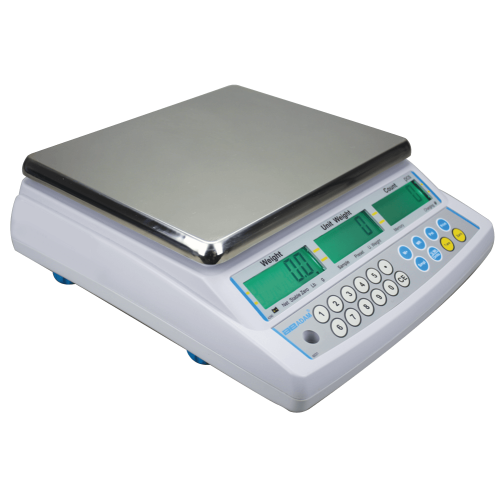 CBC scales offer precise parts counting functions needed to perform a diverse variety of weighing and counting tasks. The scale is well-suited for packaging and inventory taking in factories or just about anywhere small parts are made. The large stainless steel pan removes for rapid cleaning. Checking individual pieces is speedy, as the LCD shows total weight, unit weight and count. Adam's CBC counting scale features intuitive parts counting functionality that eliminates the need for laborious manual counting tasks. This scale can count products simultaneously to ensure correct numbers are available for dispatch. The CBC is often used in manufacturing and engineering processes to check count screws, tools and mechanised parts.